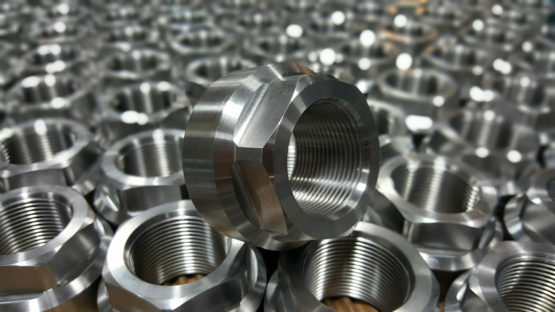 quality machining services since 1985. With over 100 combined years of experience between our key staff members, Condor Machinery is able to meet your machined part needs and exceed your expectations. Whether you are looking to run the first production of a prototype, get more insight about creating complex parts, or improve the quality of your manufactured components, we can do that! We pride ourselves on being a one-stop shop. From design, to production, to delivery, we handle it all so you don’t have to. And we’re always a phone call away, ready to answer questions and provide you with a level of customer service that can’t be beat! “As a supplier of specialized equipment in Edmonton to the pipeline and plant construction industry, we have a requirement to supply quality equipment, with very short timelines. We have to rely heavily on a CNC machine shop that will do what it takes to get the product to us, in a timely manner. President, Proline Pipe Equipment Inc.